Whether lives are measured in days, weeks, months or years, Leukaemia Care make every day count. 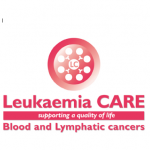 Support Leukaemia Care today by sending your recycled stamps to Lodge Brothers in Cobham. Claire Nightingale, our Branch Funeral Arranger has been collecting stamps for a while and was only too pleased to learn that the collection of stamps she has been storing could be put to good use for Leukaemia Care, for every 1KG of stamps collected £20 is generated for Leukaemia Care. Claire now offers the challenge to the residents of Cobham to bring in their used stamps and support this great local charity. Lodge Brothers can be found at 3 Hollyhedge Road, Cobham, Surrey KT11 3DQ. Tel 01932 450360.